In the last 5 years, much ground has been covered in the treatment of melanoma, a disease that has historically poor survival rates. In 2011, two agents were approved for the treatment of melanoma. Peginterferon alfa-2b (Sylatron, Schering), a cytokine, was approved as an adjuvant therapy for stage III resected melanoma as an alternative to high-dose interferon that was previously approved for these patients. Iipilimumab (Yervoy, Bristol-Myers Squibb), a CTLA-4 checkpoint inhibitor, was approved for melanoma patients with unresectable or metastatic disease and was a major breakthrough in the field. In 2014, the anti–PD-1 monoclonal antibody nivolumab was approved to treat patients with metastatic or unresectable melanoma. 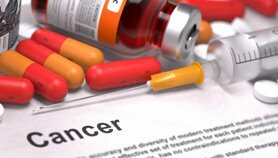 Also, the combination of ipilimumab and nivolumab was approved for patients with BRAF-negative melanoma. Pembrolizumab, another anti–PD-1 monoclonal antibody, received FDA approval in 2014 for the treatment of unresectable or metastatic melanoma. This agent or nivolumab may also be used as as monotherapy for patients who have disease progression despite treatment with ipilimumab. In 2015, the FDA approved talimogene laherparepvec (Imlygic, Amgen), a genetically engineered oncolytic herpes virus, for the treatment of locoregional metastatic, unresectable melanoma where tumor is accessible for injection. The virus preparation is injected directly into sites of tumor recurrence. In 2016, the combination of ipilimumab and nivolumab was approved for the treatment of unresectable or metastatic melanoma regardless of BRAF mutational status. Robert Andtbacka, MD, discusses currently approved immunotherapeutic agents in melanoma. Combination therapy with nivolumab and ipilimumab. 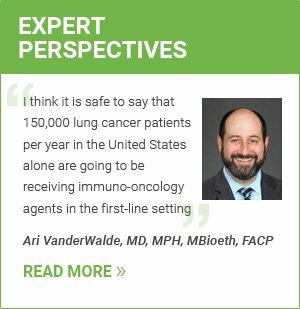 The guidelines advise providers to consider the patient’s performance status, medical history and overall health when deciding between monotherapy and combination immunotherapy. For BRAF-positive patients, disease stage, tumor burden and severity of symptoms should also be considered when deciding whether to add an immunotherapeutic agent to a BRAF inhibitor. The above treatment choices are also options for second-line therapy, with the addition of ipilimumab monotherapy for patients who have previously been treated with systemic therapy for metastatic melanoma. The PD-L1 inhibitor atezolizumab is currently under investigation for the treatment of previously untreated BRAF-positive metastatic melanoma in combination with the BRAF inhibitor vemurafenib (Zelboraf, Genentech). As of October 2016, a phase 3 clinical trial is awaiting recruitment. Another PD-L1 inhibitor, durvalumab (MEDI4736, AstraZeneca), is being investigated for the treatment of metastatic melanoma in combination with the mitogen-activated protein kinase (MEK) inhibitor trametinib (Mekinist, Novartis) and with or without dabrafenib (Tafinlar, Novartis), a BRAF inhibitor. Nivolumab and ipilimumab are being investigated for use either before or after treatment with the BRAF inhibitors dabrafenib and trametinib. Pembrolizumab is being investigated in combination with dabrafenib and trametinib. A novel vaccine called seviprotimut-L is currently in a phase 3 clinical trial for the treatment of patients with resected melanoma. The vaccine uses antigens from three melanoma cell lines; these antigens are purified and injected into the patient, stimulating an antitumor immune response.